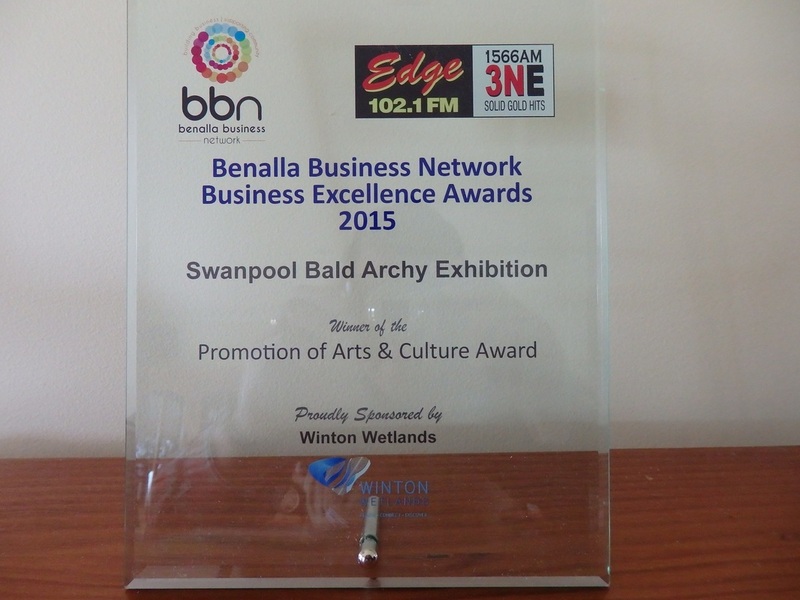 The Bald Archy Exhibition - Swanpool & District Community Development Association Inc. 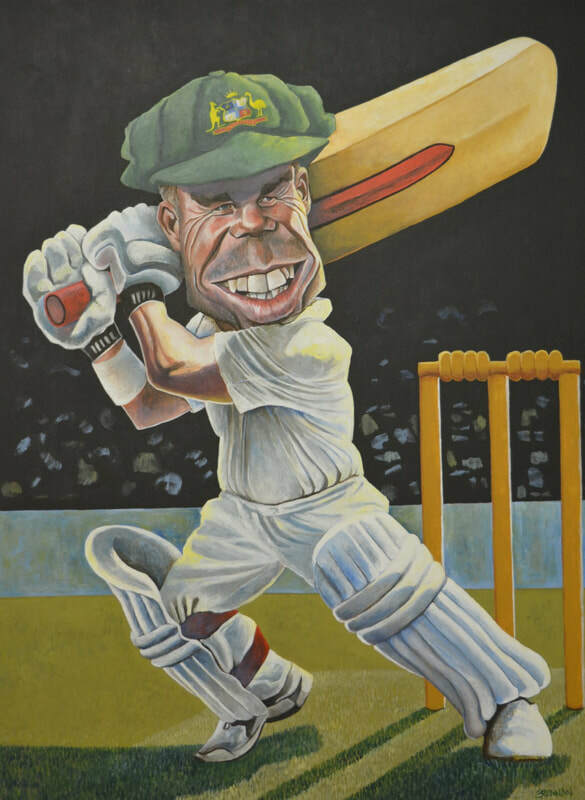 The winner of the $10,000 2017 Bald Archy Prize is, for a third time: James Brennan with 'Pocket Rocket' - David Warner. 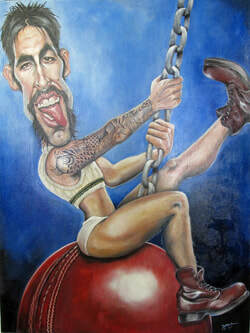 “My painting is a celebration of the most explosive batsman in the world. With a tiny dig at his vertically challenged stature, this little Bantam Rooster has the heart of a lion.’ ........Excerpt from James’ Artist Statement. The winning entry along with the other 43 works will be on display in the Swanpool & District Memorial Hall from 26th August until 10th September. The exhibition will be open from 10am until 4pm daily. Admission being, Adults $5, Concession $4 and Students $2. The dining room will be open daily, with morning and afternoon teas from $6 and delicious lunches for either $12 or $17. Group bookings and enquiries 5768 2400. To add to the graphic arts experience, two other exhibitions will be held in Swanpool on the same dates and times as the Bald Archy Exhibition. 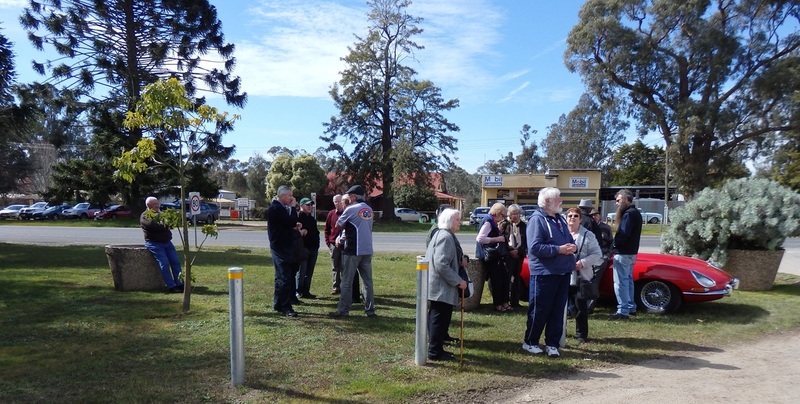 The Benalla Camera Club will be holding an exhibition of their member’s photography in the Swanpool Bowls Club pavilion and the Broken River Painters, and invited artists, will be holding an exhibition of their works in the pavilion at the Albert Heaney Reserve (football ground). Entry to both of these exhibitions is by gold coin donation. These events are run by volunteers and all proceeds go to local not-for-profit groups and community projects. Whilst in Swanpool visitors will be able to pick up a copy of the Swanpool Country Cook Book. 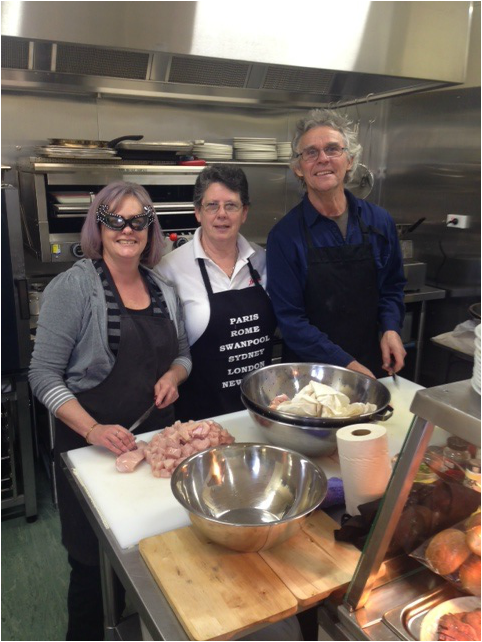 It includes recipes from local volunteers, professional chef’s and a contribution from Maude, the judge of the Bald Archy Prize, who possesses previously unknown culinary skills that put her in a unique category. 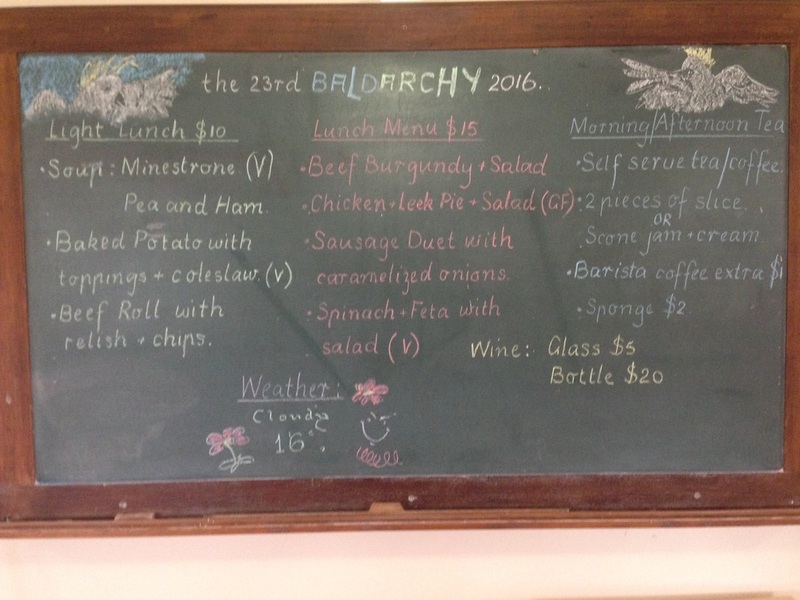 The book includes recipes for the dishes served in the dining room at the 2016 and 2017 Swanpool Bald Archy Exhibitions. The small rural hamlet of Swanpool attracted thousands of visitors during the recent Swanpool Visual Arts Festival. 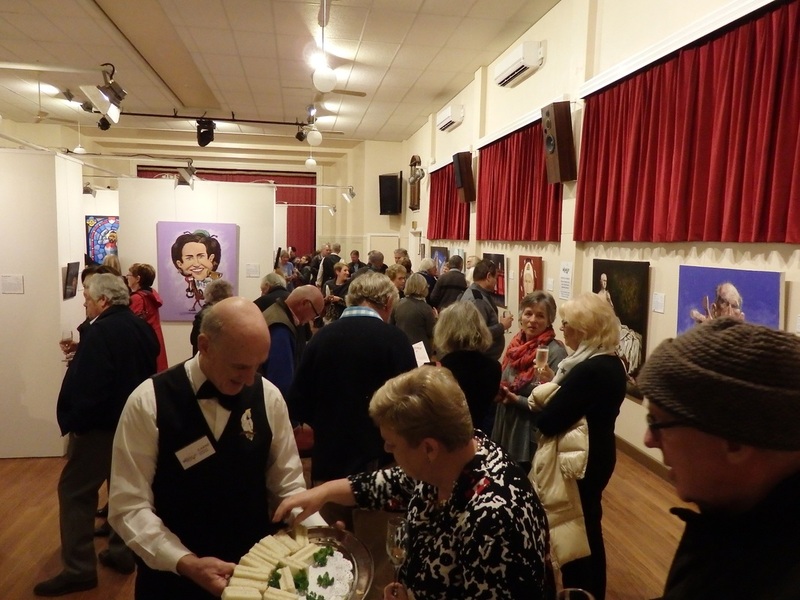 In addition to the Bald Archy Prize Exhibition, the township also hosted exhibitions from the Benalla Camera Club and the Broken River Painter’s and invited artists. Event co-ordinator Barry O’Connor advised, “The combined exhibitions attracted over 3,700 people to Swanpool, with visitors being very impressed with range of works on display”. He continued “The traditional Bald Archy Prize visitors were again delighted with the range of subjects ‘targeted’ in this year’s exhibition. The dining room also proved very popular, with almost 2,600 meals being served during the sixteen days of the event”. Creator and Director of the Bald Archy Prize, Peter Batey OAM, stated that the 2017 exhibition was one of the better exhibitions in the 24 year history of the prize. This statement was certainly confirmed with a large number of entries receiving high vote counts in the ‘People’s Choice’ award. Newcastle artist Judy Nadin was very popular with visitors, scoring both first and second place in the ‘People’s Choice’ award. 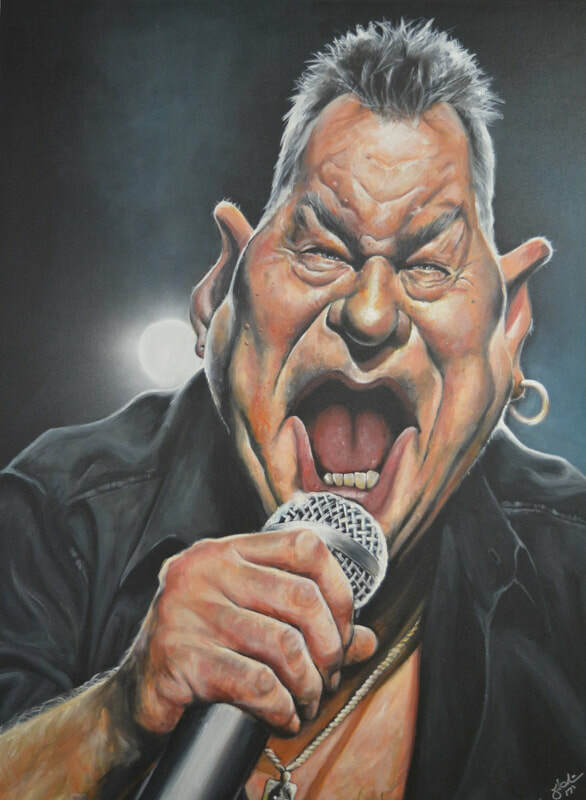 Her work ‘Choir Boy’ depicting Jimmy Barnes in full flight, won with 14% of the total vote. 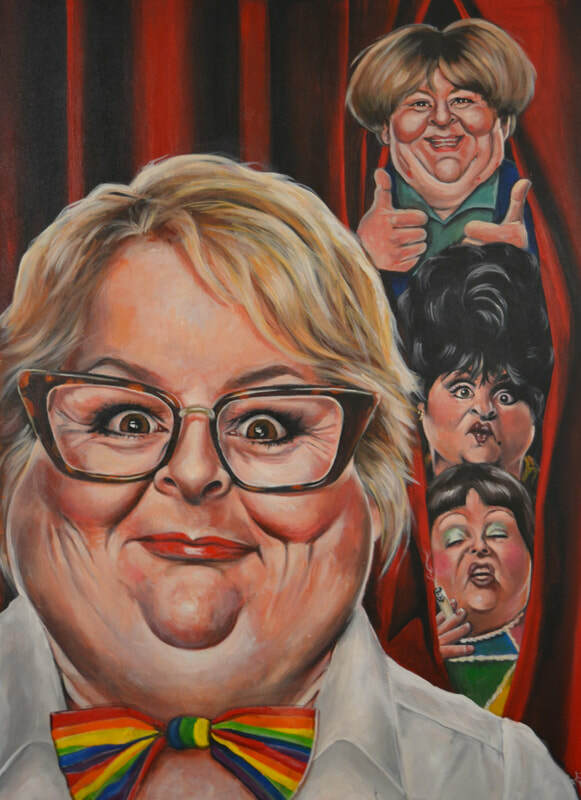 Judy’s work depicting Magda Szubanski as the ‘Queen of Smarts’ took out second place with 12% of the vote. Only 3% of visitors agreed with Maude’s choice of winning entry, James Brennan’s ‘Pocket Rocket’. Visitors to the Swanpool Exhibition were aware that the event coincided with the launch of the Swanpool Country Cookbook. The book contains recipes from both the 2016 and 2017 exhibition dining room menu. The image used on the cover of this book was created by local artist Tim Bowtell. The original art work was raffled during the exhibition, with artist Tim Bowtell, drawing the winning ticket on the last day. The very excited new owner of the original artwork, is Anita Kelleher from Surrey Hills. Copies of the cookbook are still available and can be obtained from a number of outlets, including the Swanpool Cinema, local bookshops and markets. 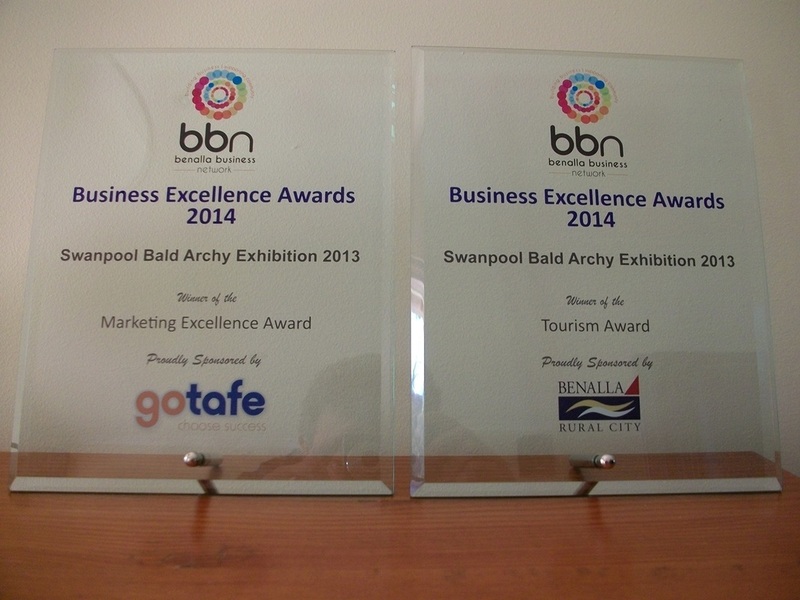 All funds raised from the Swanpool Bald Archy Prize Exhibition are distributed to local not-for-profit community groups and projects.